Send an assessment to the company your contacts were on assignment with once they are finished to provide a review of how working with your contact went. Recruiters can use this data to make sure they are sending qualified candidates to the right companies. 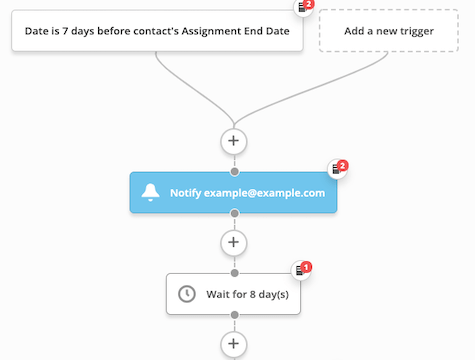 Before importing, build a custom date field for Assignment End Date and an ActiveCampaign form to gather the companyâs feedback.